SUMMARY: This position performs skilled work in preventing and extinguishing fire and in the maintenance of firefighting equipment. The employee also conducts other support activities. Operates pumps, ladders, and auxiliary equipment. Performs ventilation, clean-up, and rescue operations. Checks and tests hydrants, sprinkler systems, and portable extinguishers. May conducts fire education, fire drills and inspections of wiring, exists and related items to assure compliance with fire prevention ordinances and standards. Assists in maintenance of Department records and reports. Performs general maintenance and tests, works on the upkeep of Fire Department property and equipment, including vehicles, pumps, hoses, and the fire station. This includes cleaning the station. Performs operational checks on EMS equipment. May make fire inspections and securing the abatement of fire hazards in commercial, industrial, residential and other structures and properties. Attends training courses related to fire prevention and protection. Performs other duties as assigned by supervisor and identified in DeLand Fire Department Rules and Regulations 1000. QUALIFICATION REQUIREMENTS: To perform this job successfully, an individual must be able to perform each essential duty satisfactorily. The requirements listed below are representative of the knowledge, skills, and /or abilities required. Reasonable accommodations may be made to enable individuals with disabilities to perform the essential functions. EDUCATION/EXPERIENCE: An eligible applicant must possess a high school diploma or GED, a current Florida Firefighter Certificate of compliance or tenure, and a current Florida EMT or Paramedic certification. Applicant must possess a valid Florida driver's license and a vehicle operator's license (Class D with an "E" endorsement). The applicant must also pass the entrance level exam approved by Fire Department. LANGUAGE SKILLS: The employee must demonstrate a working knowledge of communication skills, fire suppression, tactics and strategy, human relations, fire prevention, community relations, hazardous materials, and safety practices. REASONING ABILITY: Employee should be capable of following direction and performing assigned tasks without direct supervision. Ability to meet reasonably accepted standards of behavior as revealed by a background investigation. 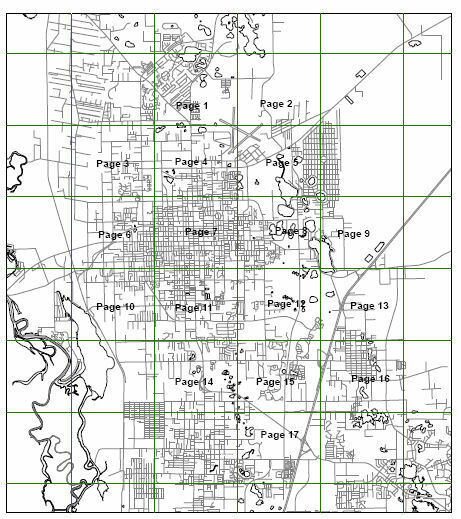 Knowledge of streets, buildings, and hydrant locations in the City of DeLand. Knowledge of ropes for fire hose, nozzles, appliances and protective breathing apparatus. Ability and knowledge in the technical use and care of ladders, communication equipment, and in uses of varied fire streams. Ability to pass required probationary exams. Report writing and basic computer skills. WORK ENVIRONMENT/ADA: Employee may work inside an office environment, or outside in various weather conditions, from heights, on uneven surfaces, with radiant energy, in dusty conditions, and may handle solvents and chemicals. This position requires walking, standing, kneeling, bending, stooping, driving, equipment operation, depth perception, and lifting 45 pounds or more. *Class Descriptions are not intended to be restrictive. The use of (or absence of) a particular illustration of duties shall not be held to exclude or limit the authority of a Department Head to assign other duties which are similar and related to work.